If this seems like a blast from the past, that’s because it is. The new-look $100 bill was supposed to be released in 2010, but problems with unwanted creasing delayed the bill. In 2011, when the bill was supposed to be released, there were problems with the ink smearing. The old saying is more money more problems, and when you’re printing an estimated 3.5 billion new bills to introduce into circulation, you’re dealing with a lot of potential problems. However, it appears that all the problems have been solved. 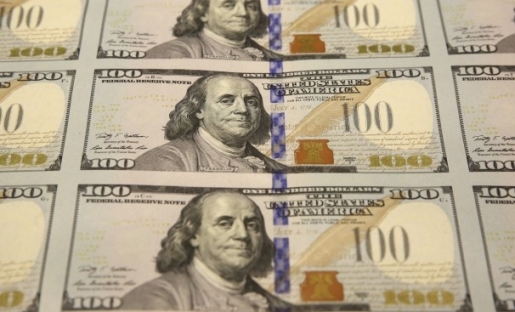 The US Treasury says that the new $100 bills will enter circulation sometime today at a bank near you. The bill looks familiar, what with Benjamin Franklin on the front and Independence Hall in Philadelphia, Pennsylvania, on the back. However, it features different ink, a disappearing image of the Liberty Bell in an inkwell, and a bright blue 3-D security ribbon with shifting images that appear and disappear as the bill is moved around in the light. The new $100 bills are expected to have a lifespan of 15 years, the longest of any paper currency in circulation. Don’t worry; your old-style $100 is still valid currency.